As my girl LDR (Lana Del Rey, for the uninitiated) will heartily agree, there comes a point in the summer when you begin to feel a bit restless...a summertime sadness, if you will. I find myself languishing around my apartment, scrolling endlessly through my idiotic Tumblr feed- please don't judge me- and staring blankly into my industrial-strength fan. Honestly, I know I can't complain. But then again.......it is one of my most favorite activities. So, here I go. I am not now, nor have I ever been, a summer girl. I find the heat oppressive, the humidity daunting. I say this every year, but dear god it still manages to surprise me every time. 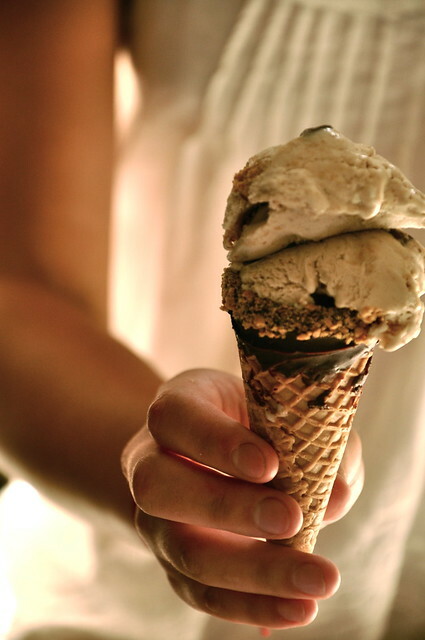 More or less, the only thing that keeps me going in summer, I'm fairly embarrassed to admit, is ice cream. I'm lucky enough that the Van Leeuwen truck is almost perpetually parked right in front of my apartment and that top-notch gelato is not more than a five minute walk from my doorstep. When desperate times call for desperate measures and the sun has long since set, my little corner bodega calls me out into the heat for a pint of pistachio ice cream. Finally, though, my little home is outfitted with one giant ice cream maker. So, now I can say so long to over-priced ice cream that's gone way too fast. Because I can make my own. In a medium saucepan, whisk together coconut milk, ground graham crackers, granulated sugar, and vanilla extract. Bring to a boil, then remove from heat. Stir in graham cracker chunks, marshmallows, and chocolate chips. Transfer mixture to a bowl and let cool completely in fridge or over an ice bath. Once mixture is cool, churn in an ice cream maker according to instructions. 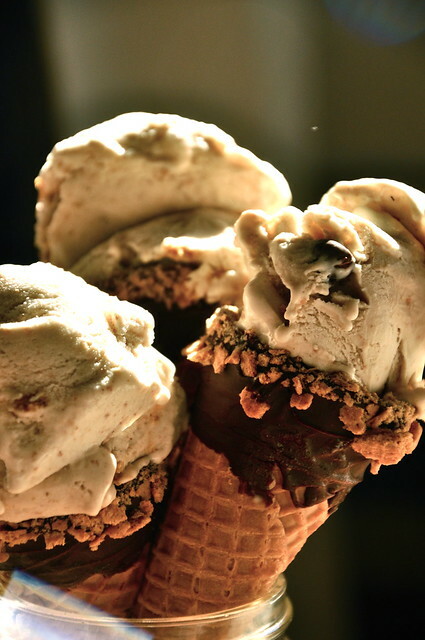 Meanwhile, you can assemble your s'mores ice cream cones. Place chocolate in a bowl set over simmering water. Stir until completely melted. 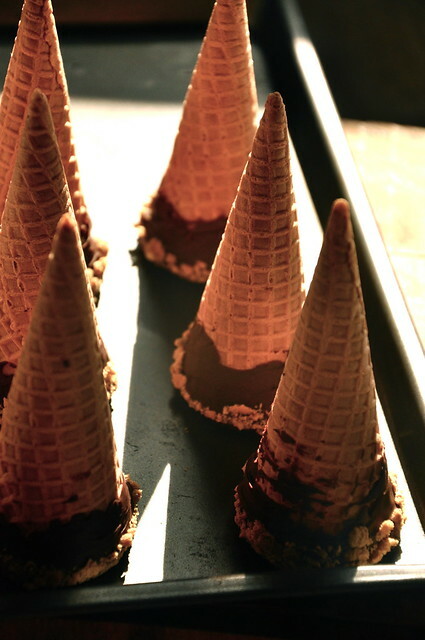 Roll the ends of each ice cream cone in melted chocolate and then roll in graham cracker crumbs. 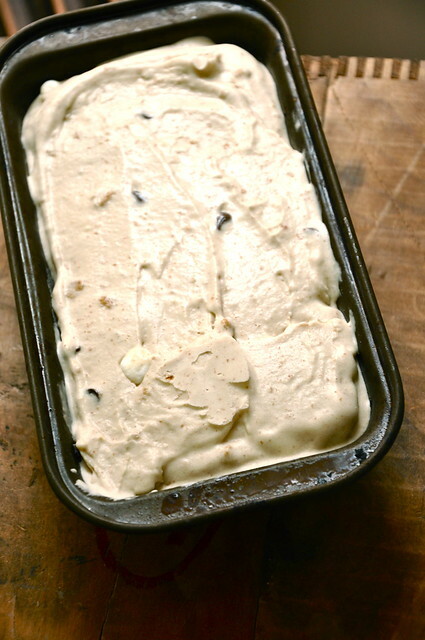 Place onto a baking sheet lined with parchment paper and let cool in fridge until chocolate is set. 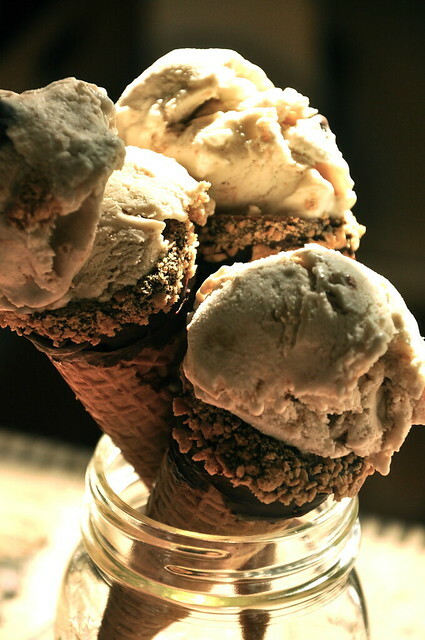 Scoop ice cream onto prepared ice cream cones, and enjoy!